Hi Dolls! 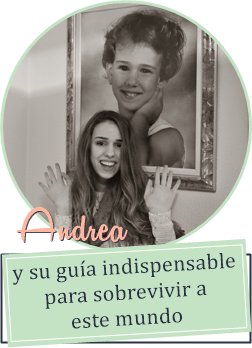 As I promised you, I am here with another living with Andrea edition. Firstly, I wanted to introduce you to my new Iphone 5 and its amazing camera for vlogging on the go. I am so excited to try it and give you more vlogs than I normally do! Secondly, I few weeks ago I told you about an idea that I got: to blog everyday ( or pretty much) during Xmas and I am going to be doing that and mixing it with beauty and fashion related posts as well. There are going to be video vlogs and written posts so stay tuned for that, because it starts tomorrow!! What I have in mind? Q&A videos, tags, hauls, cooking posts, random vlogs... Any other idea? I think that this is going to be so special because in Spain we celebrate " 3 kings day" on 6th of January and I will be telling you about how we celebrate it at home! i follow you now !!!!!! -What would you wear on a lazy day during Christmas? Worst part of the holidays? Hi Hun. Blogging on the go rocks I love my iPad & iPhone for it too. Great to be excited. Hello,seen you comment on another blog and thought I'd check out your blog! I recently got the iphone5 and also did a vlog! Hope you can check out mine.